Crooked Tree Wildlife Sanctuary — Jaguar Ventures of Belize Ltd.
Crooked Tree Village is located on the banks of a huge wetland/lake, depending on what time of year it is! A haven for migratory birds. Hundreds of species, thousands of bird. 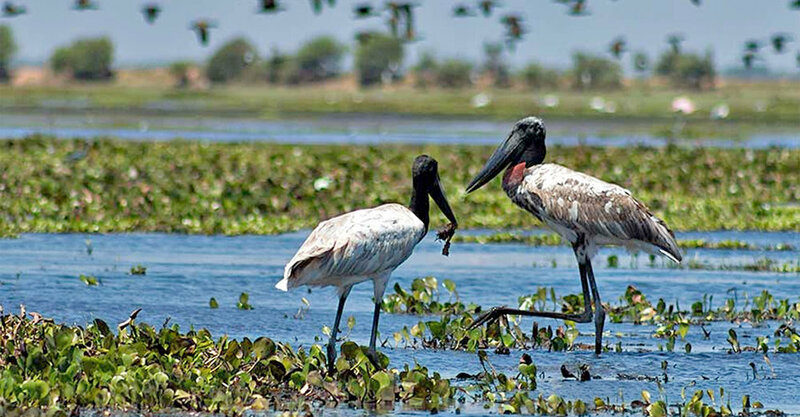 The Jabiru Stork, largest bird in the Western Hemisphere, has made its home here and is easily seen. This is a bird watchers fantasy.